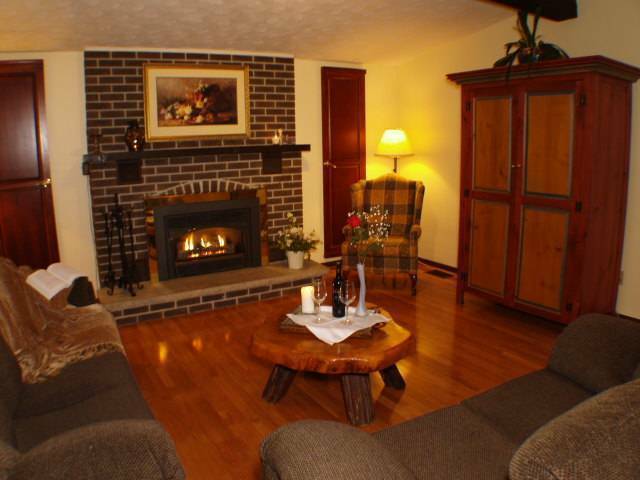 Beautifully appointed, spacious private retreat in the heart of the old town. The retreat sleeps between two (2) to ten (10) people with five (5) bedrooms and 2 bathrooms. ALWAYS SELECT 1 UNIT WHEN BOOKING ON THIS SITE. 1 UNIT = ENTIRE HOUSE 5 BDRMS FOR 10 PEOPLE. WE WILL ADJUST THE RATE UPON CONFIRMATION. NOTE: THE RATE QUOTED TO YOU HERE IS BASED ON 2PPL/1BDRM. ADD $100/NIGHT FOR EACH ADDITIONAL PERSON/BEDROOM REQUIRED. WE WILL ADJUST THE RATE UPON CONFIRMATION FROM HOST. 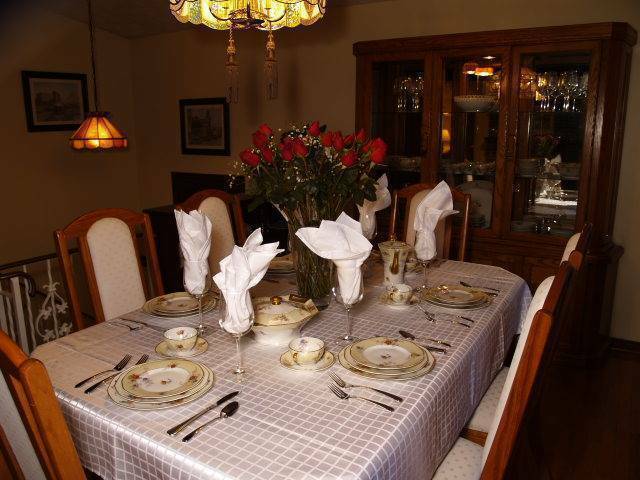 Perfect for a romantic getaway for two or a large family celebration. A charming walk will take you to Shaw Festival Theatres, eloquent boutiques and fine dining restaurants. A short drive to dozens of wineries, Niagara Falls, casino’s, golf courses, and much more. The main floor has an open concept living room/formal dining room with gas fireplace, vaulted ceiling and large bay windows peering into the private treed yard, a spacious fully equipped kitchen with dinette eating area, two full bathrooms and five bedrooms: one with a king size bed and one with a queen size bed. 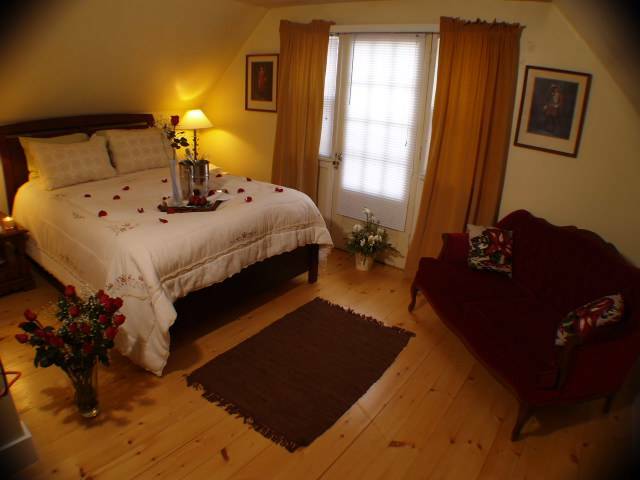 The second floor has one full bathroom and three bedrooms: one with a queen size bed, one with a double sofa bed and one bedroom with two twin size beds. Please do not choose more than 1 unit when booking on this site. The entire house is rented only to one party at a time. We simply adjust the rate depending on the number of Bedrooms required. 1 unit = entire house, otherwise it will come up as insufficient availability. The rate that you receive as confirmation of this booking is for 2 people/1 bedroom. If you require additional bedrooms, the rate will be adjusted upon personal confirmation e-mail from the host. 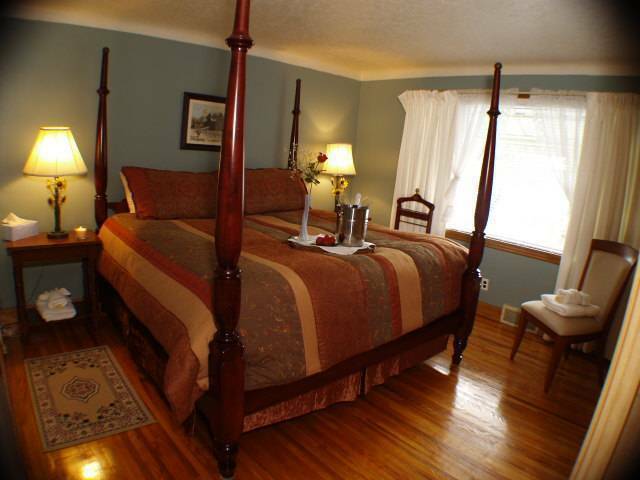 (Add $100/night for each additional bedroom (up to 2 people/bdrm). 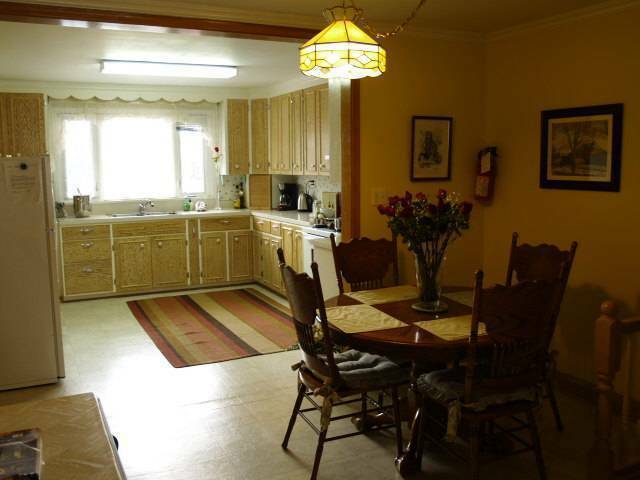 Spacious, fully equipped home with 5 bedrooms and 2 full bathrooms. Spacious kitchen with separate dinette, open-concept living and dining room with vaulted ceiling, gas fireplace and large bay windows. Highspeed internet.. Private, treed backyard with furnished patio area. 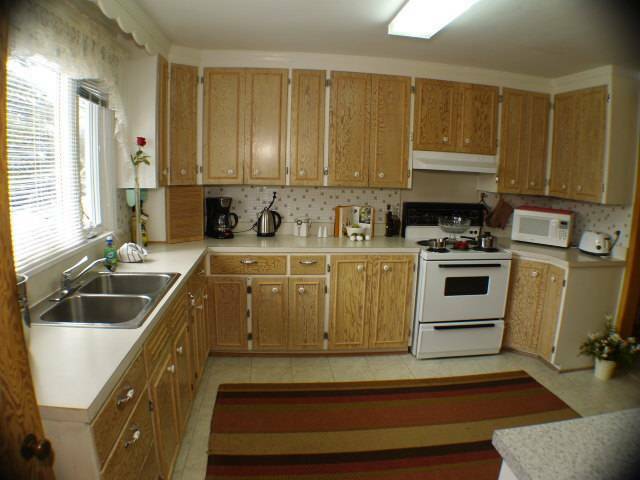 Kitchen is fully equipped with fridge/freezer, stove/oven, coffee maker, microwave, toaster. Complimentary coffee/tea provided. Furnished and covered patio area in backyard with BBQ. Beautifully appointed private retreat with 5 bedrooms and 2 full bathrooms. Plenty of space for 2-10 people. Rates are for 2ppl/1bdrm and will be adjusted upon confirmation e-mail from host. Please ALWAYS CHOOSE 1 ROOM ONLY when making reservation on Instant World Booking, Pilgram Reservations or Hostle Traveller Sites. 1 Room = Entire House. We will adjust number of Bedrooms and Price based on number of people/number of bedrooms required. RATE QUOTED AND CONFIRMED ON THIS SITE ARE FOR 2PPL/1BDRM. ADD $100/BEDROOM/NIGHT (UP TO 2 PEOPLE PER BEDROOM). WE WILL ADJUST THE RATE UPON CONFIRMATION FROM HOST. Located in the heart of the Old Town of Niagara-on-the-Lake, surrounded by dozens of wineries, walking distance to Shaw Festival Theatres, boutiques and fine dining. Scenic drive to Niagara Falls, casino's and much more. Credit card required to guarantee reservation. Payment by cash or cheque on arrival. You have up till two weeks before the scheduled date of arrival to cancel your reservation without penalty. If you cancel within the two weeks, but not less than 4 days before the scheduled date of arrival, half of the total rate is due. If cancellation is made within 4 days of the scheduled date of arrival the total rate is due. Take exit 38B (Niagara Stone Road) and follow the signs to Niagara on the Lake, Hwy/Regional Rd. 55. Follow Hwy 55 to Niagara-on-the-Lake. The retreat is the second house on your left; the address is 223 Mary St. If you are crossing the USA/CANADA border in Lewiston, NY at the Queenston/Lewiston Bridge, take the Stanley Ave. exit and follow signs to the scenic Niagara Parkway into Niagara-on-the-Lake. Niagara Parkway becomes Queen St. in downtown Niagara-on-the-Lake. Turn left on Mississauga and left again at the first set of lights onto Mary Street. The retreat is the second house on your left hand side.